This spring NETCO has been engaged in a number of coastal bank stabilization projects. In this month’s newsletter we will address the stabilization of a coastal bank on Nantucket Island. Like many coastal communities, Nantucket has experienced extensive coastal erosion in recent years and especially during this winter’s storm season. One of NETCO’s larger projects this spring is a coastal bank stabilization project along Baxter Road on Nantucket Island. 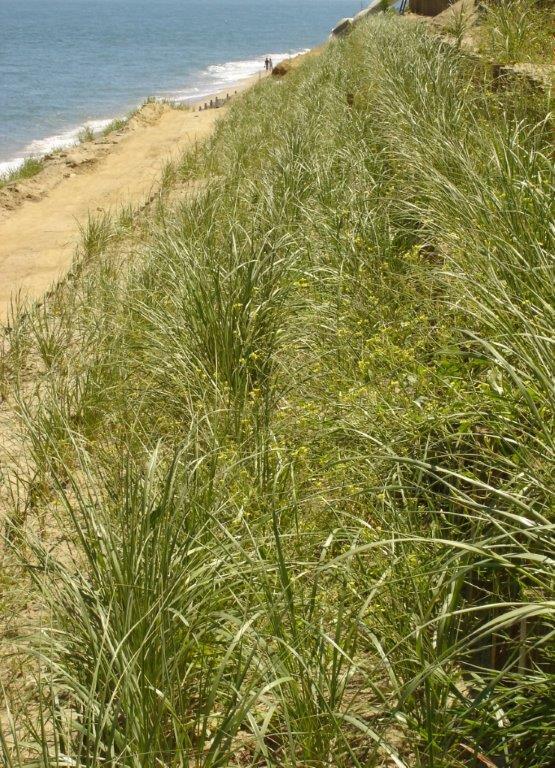 As we have mentioned in previous issues of the NETCO newsletter, there are two steps to successfully stabilizing a coastal bank or dune. The first step is to stabilize the toe of the bank or dune against storm winds and surf, and the second step is to stabilize the face against rain and water running down the bank. 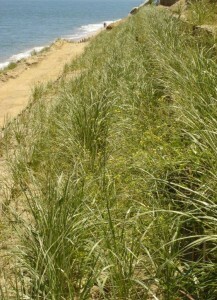 A well stabilized toe ensures the success of the work done on the face of the coastal bank or dune.